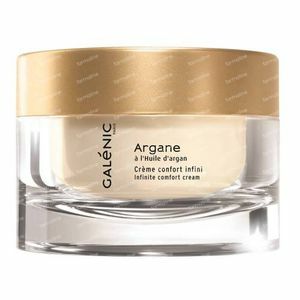 Galénic Argane Crème Comfort Infini-Restoring 50 ml order online. 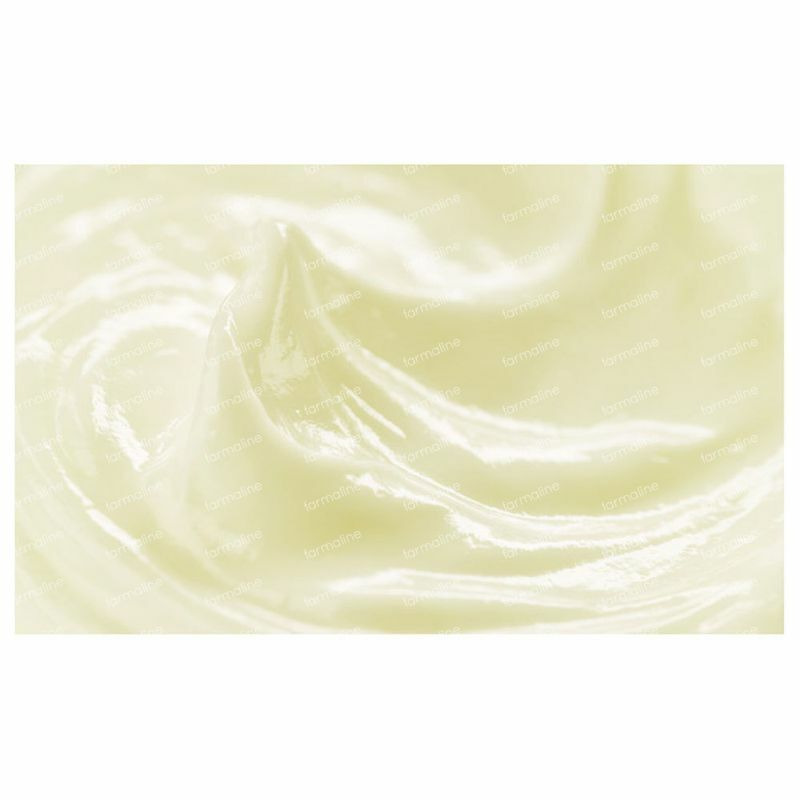 Rich and soothing Infinite Comfort Cream envelops the skin to comfort and protect it against the signs of ageing. Apply daily in the morning and/or at night to the face and neck. WATER (AQUA). ISOPROPYL PALMITATE. MINERAL OIL (PARAFFINUM LIQUIDUM). ETHYLHEXYL PALMITATE. BUTYROSPERMUM PARKII (SHEA BUTTER) (BUTYROSPERMUM PARKII BUTTER). CETYL ESTERS. SESAMUM INDICUM (SESAME) SEED OIL (SESAMUM INDICUM SEED OIL). ARACHIDYL ALCOHOL. BEESWAX (CERA ALBA). GLYCERIN. ARGANIA SPINOSA KERNEL OIL. GLYCERYL STEARATE. PEG-100 STEARATE. BEHENYL ALCOHOL. ALPHA-ISOMETHYLIONONE. AMYL CINNAMAL. ARACHIDYL GLUCOSIDE. BENZOIC ACID. BENZYL SALICYLATE. BETA-CAROTENE. BETA-SITOSTEROL. BHT. BUTYLPARABEN. BUTYLPHENYL METHYLPROPIONAL. CALENDULA OFFICINALIS FLOWER EXTRACT. CITRONELLOL. 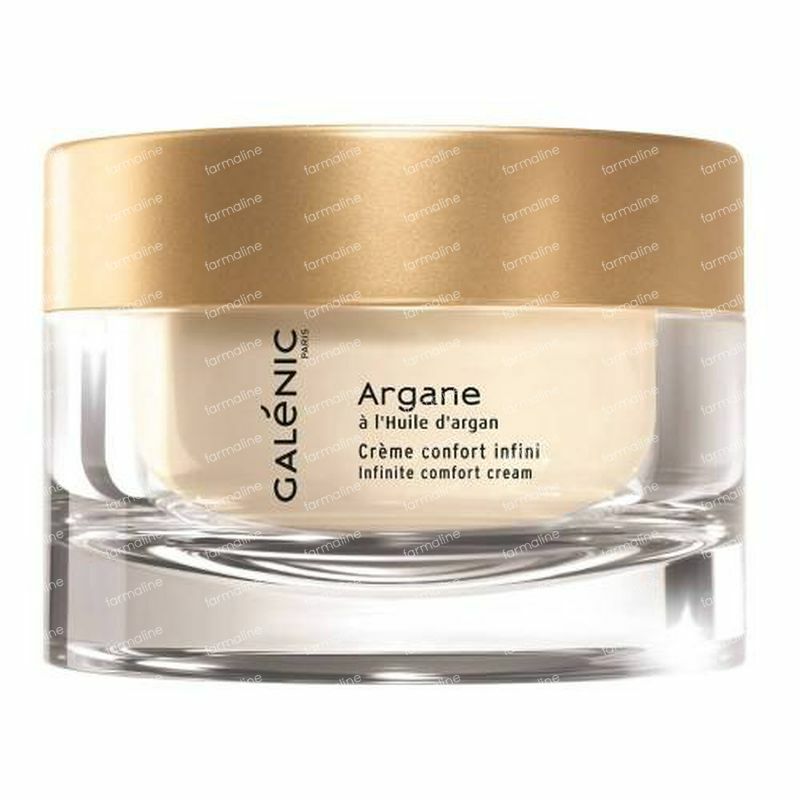 COUMARIN. ETHYLPARABEN. FARNESOL. FRAGRANCE (PARFUM). HEXYL CINNAMAL. HYDROLYZED VEGETABLE PROTEIN. HYDROXYETHYL ACRYLATE/SODIUM ACRYLOYLDIMETHYL TAURATE COPOLYMER. HYDROXYISOHEXYL 3-CYCLOHEXENE. CARBOXALDEHYDE. ISOBUTYLPARABEN. LIMONENE. LINALOOL. METHYLPARABEN. PHENOXYETHANOL. POLYSORBATE 60. PROPYLPARABEN.